Red Paddle Co has launched one of the most, if not the most compact iSUPs the SUP market has ever seen. In one of life’s more bizarre co-incidences I bumped into John Hibbard, Red Paddle CEO, on a channel ferry last month. John was a fearsome competitor during the early days of SUP competitions in the UK, organising the first ever SUP contest in September 2007 at Watergate Bay, Newquay. He has been running Red Paddle Co since 2008, and it has launched many innovations to make some of the most high end iSUPs on the market. Red Paddle Co - iSUP compact 9' 6"
The 9’6″ compact aims to become the most transportable iSUP available. 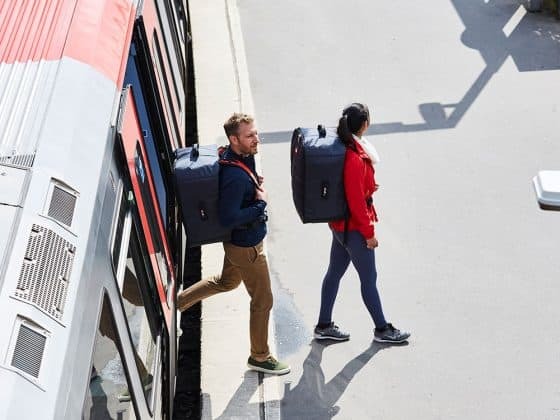 By making the board foldable down the centre line Red Paddle Co engineered a product that can be packed away in a much smaller backpack, and with a 5 piece paddle completing the set up. We hope to be able to take it for a spin one day! 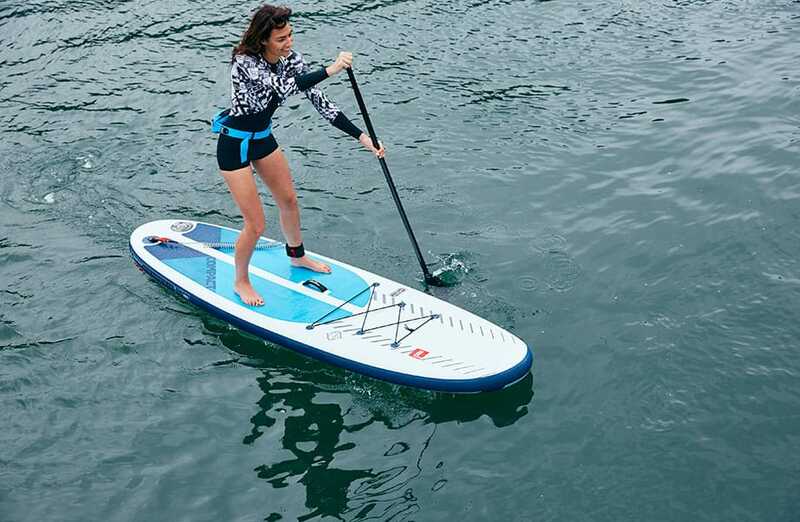 For more info check out the Red Paddle Co 9′ 6″ Compact.